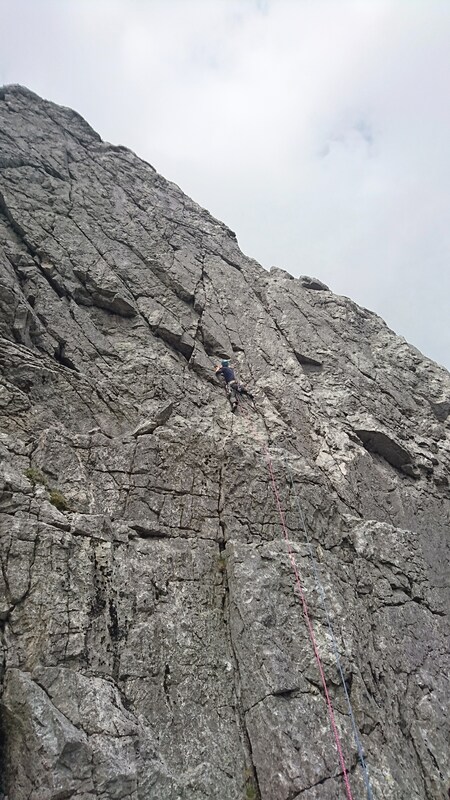 After a long stint of work I was itching to get out rock climbing and especially keen to do a few routes up in the mountains. 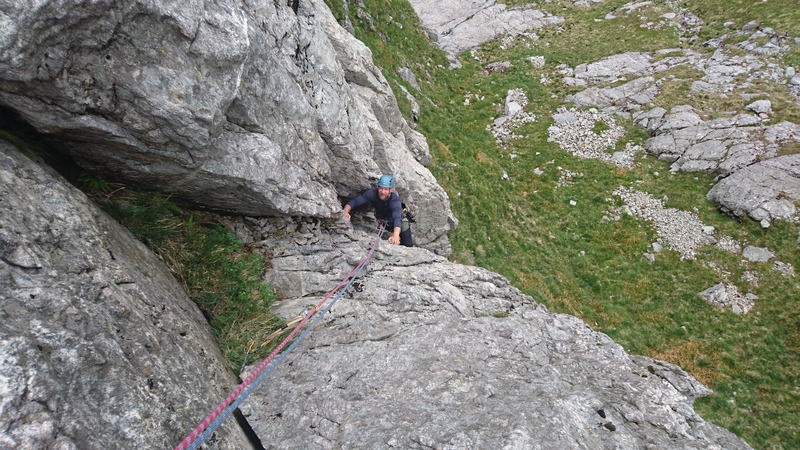 Typically yesterday was to be the day the weather broke but Pete and I thought we could squeeze in a route or two prior to the imminent downpour. 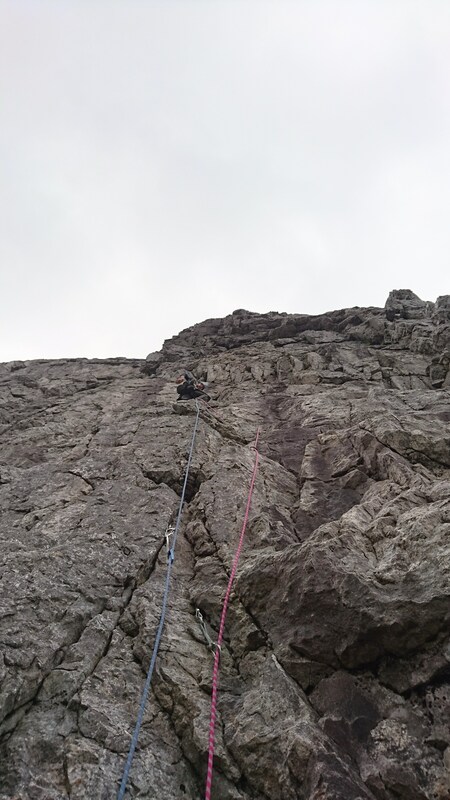 Its been a while since climbing on Garbh-Bheinn at Argour but memories of excellent rock and short multipitch routes suppressed the memory of the slog to get to them. It had just started to spit with rain as we approached the crag but thankfully it held off long enough for us to grab four great routes. 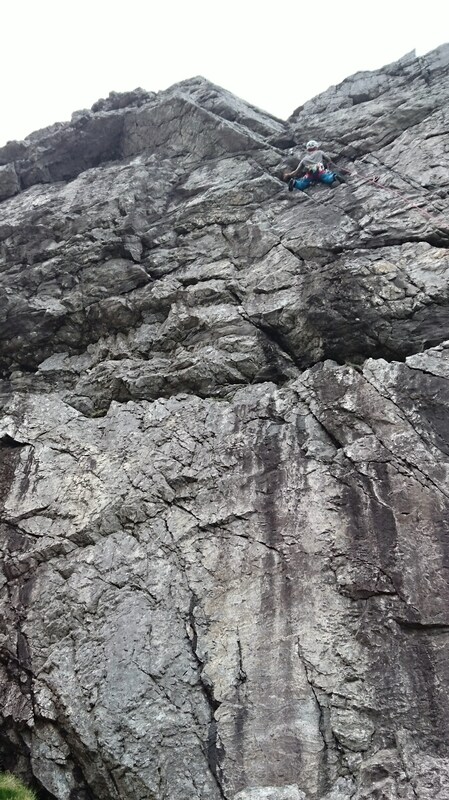 We warmed up on the classic Butterknife (VS,4b) before Pete led Menghini (E1,5a) and I got on Gralloch (E2,5b). 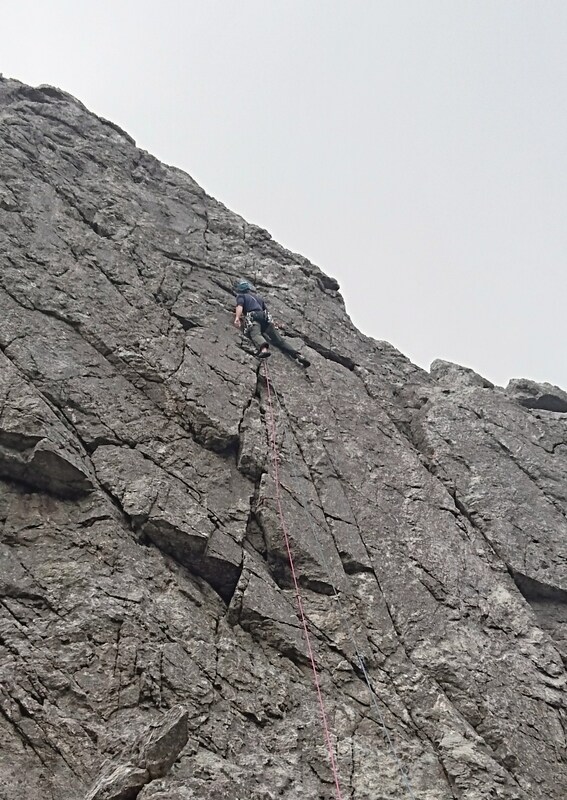 We finished off with Bodkin (E1,5a) before getting chased off by an army of midgies and thundery downpours. 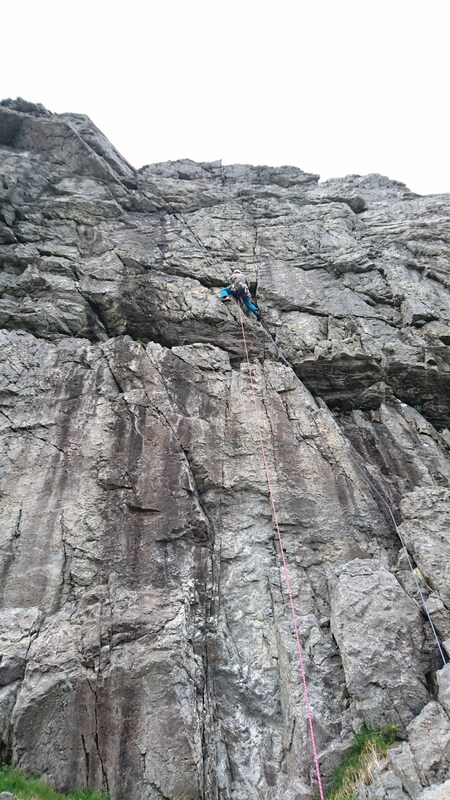 A classic mountain crag with some great looking mid E grades that can be climbed in complete solitude. 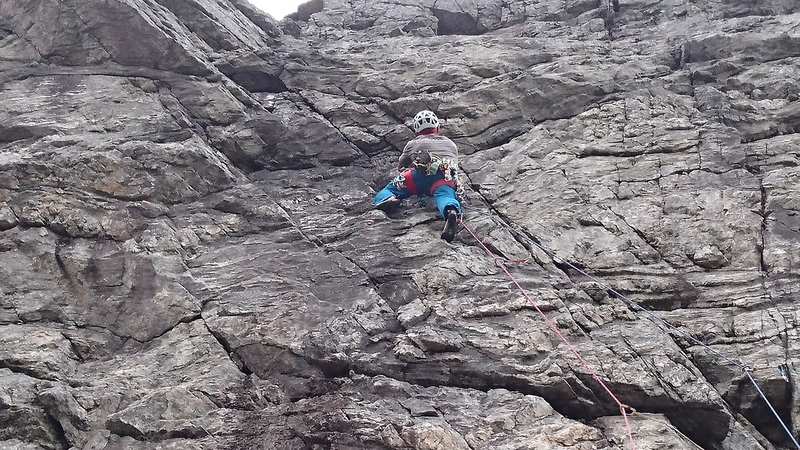 I really must visit feeling a bit fresher…..less work / more climbing!